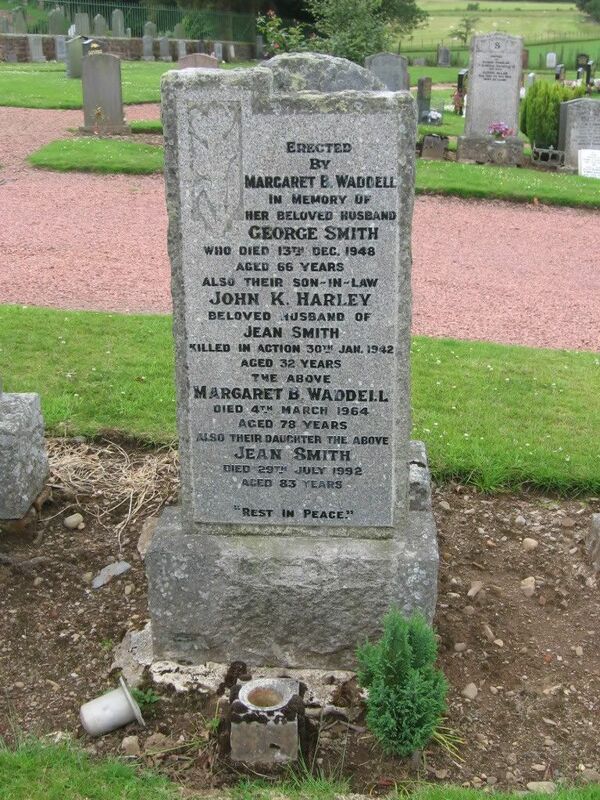 Additional information: Son of Mrs. Grace Hall, of Loaningfoot, Douglas, Lanarkshire. Unit Text: 50th Div. Sigs. 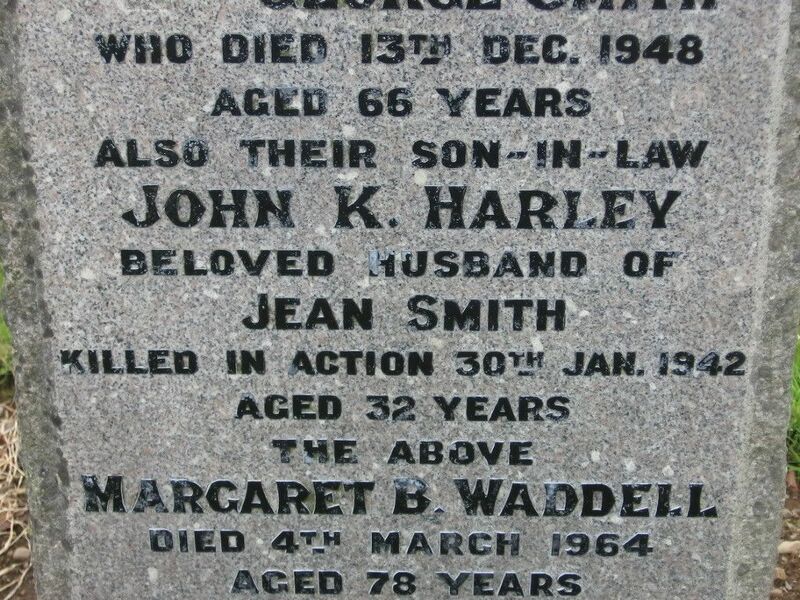 Additional information: Son of William and Jessie Harley; husband of Jean Harley, of Douglas, Lanarkshire. 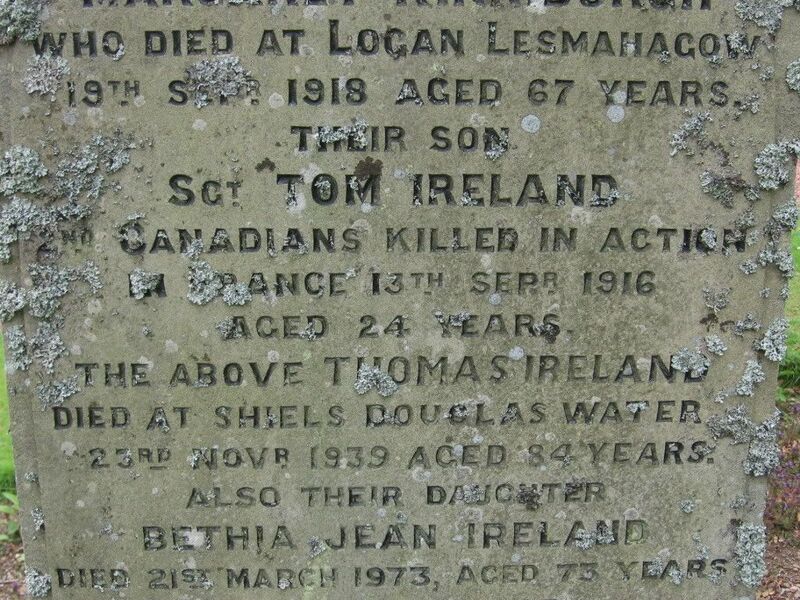 Additional information: Son of Thomas Ireland, of Butland Hill, Balerno, Midlothian, Scotland. 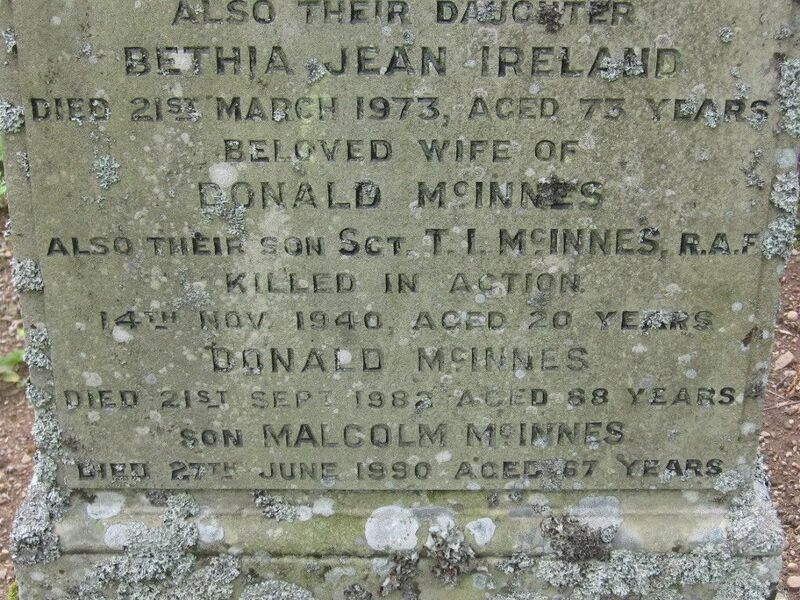 Additional information: Son of Donald and Bethia Jean Ireland McInnes, of Yarrow, Selkirkshire. Grave/Memorial Reference: Coll. grave 3. A. 1-4. 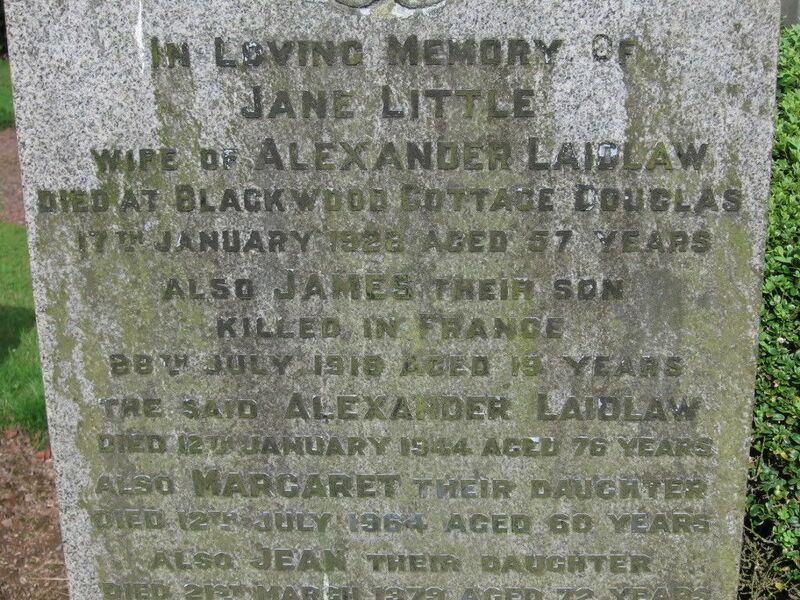 Additional information: Son of Alexander and Jean Laidlaw, of Blackwood Cottage, Douglas, Lanarkshire. Grave/Memorial Reference: I. I. 33. 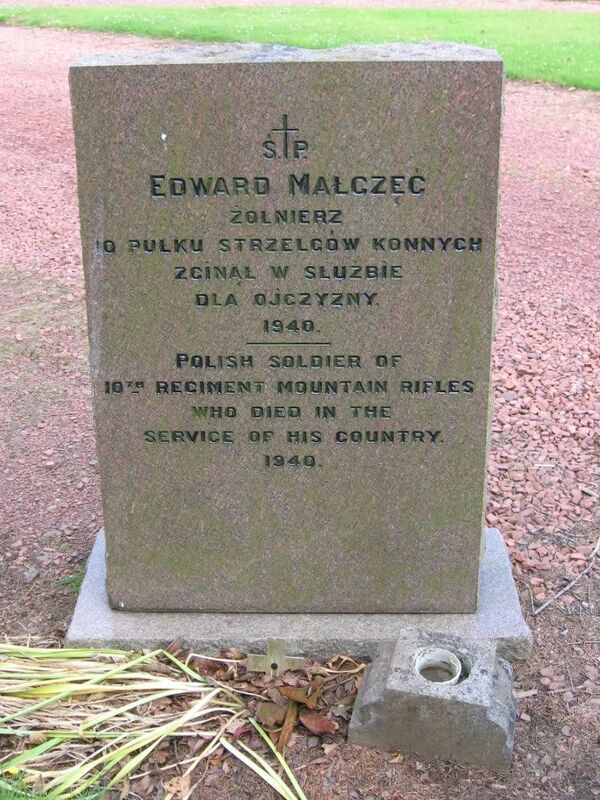 I've been unable to find any information on Edward Malczec. 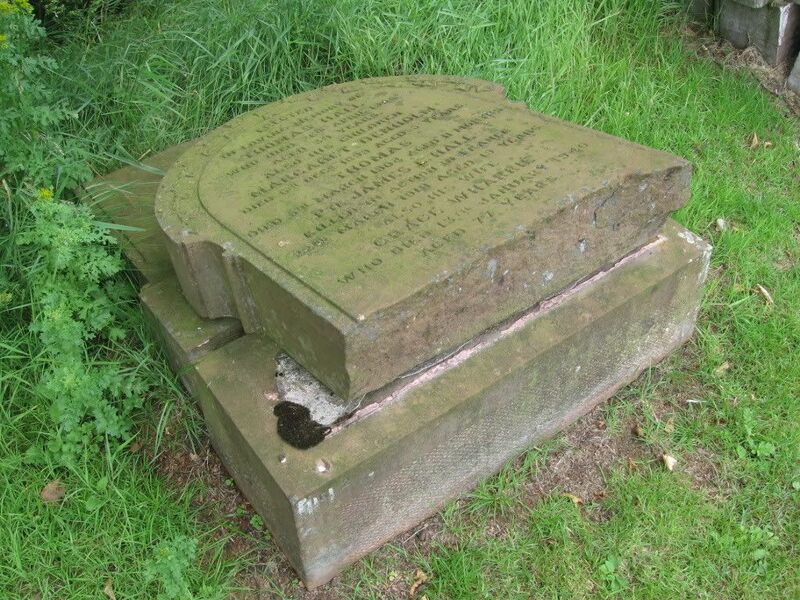 This grave is hard to miss. 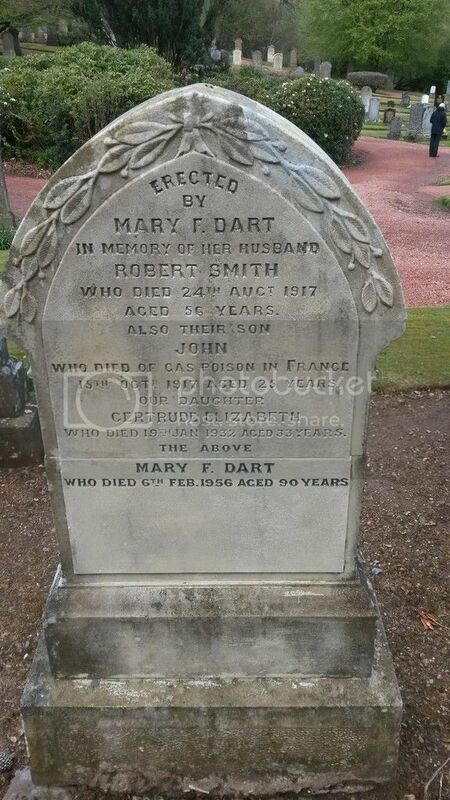 It is the first one you see as you enter the cemetery. 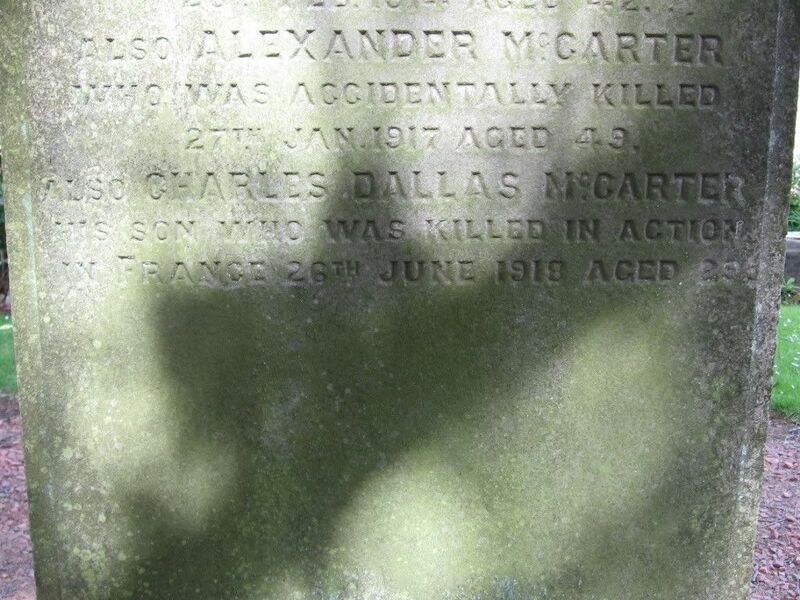 Additional information: Son of Alexander and Jane Cassels McCarter; husband of Annie McCarter, of Newtonfoot, Douglas Water, Lanarkshire. 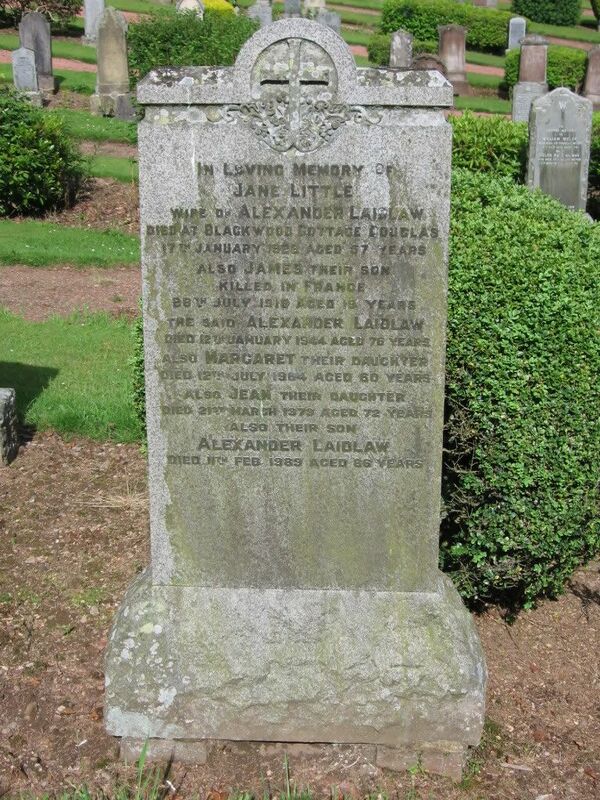 Native of Forth, Lanarkshire. 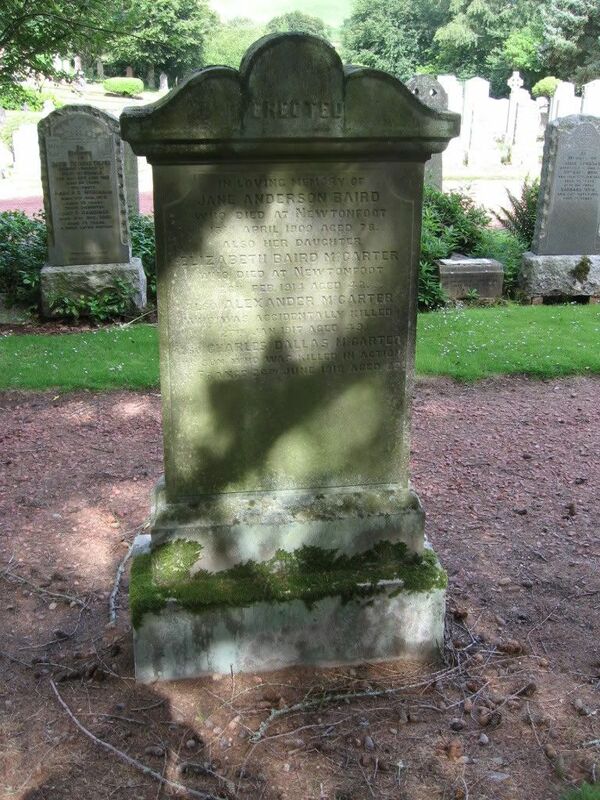 Grave/Memorial Reference: I. F. 16. Regiment/Service: Cameronians (Scottish Rifles) 2nd Bn. 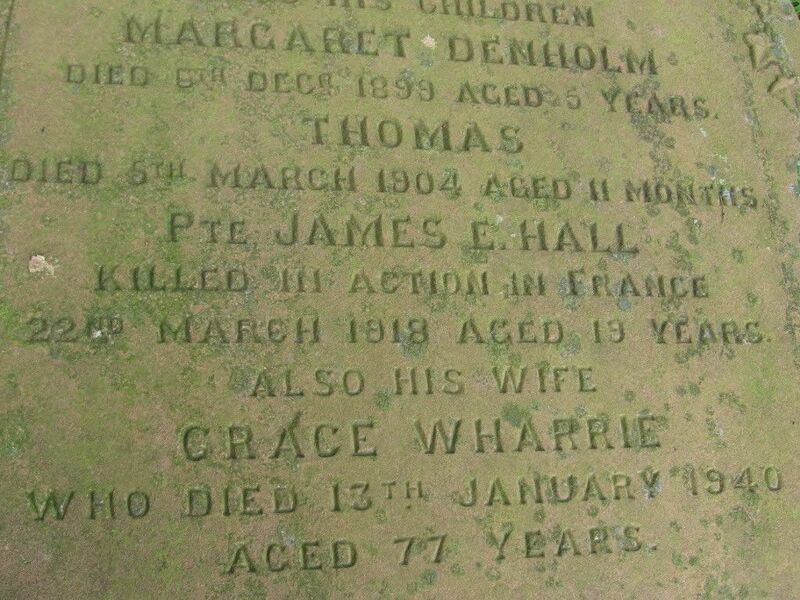 Grave Reference: I. D. 11. 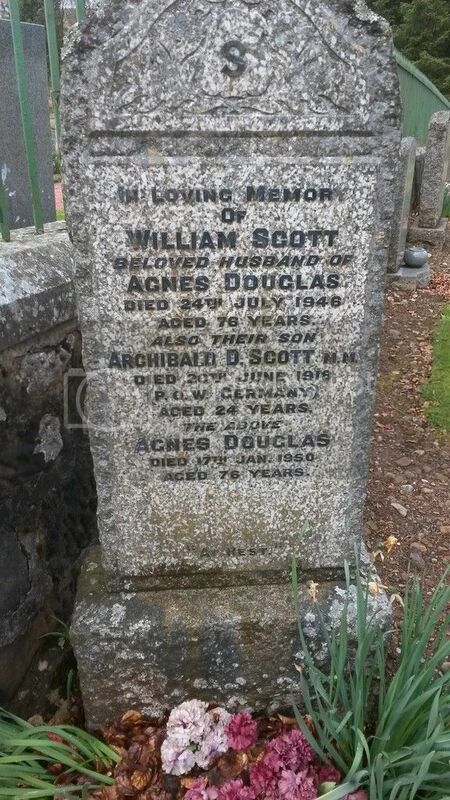 Additional Information: Son of William and Agnes Scott, of Kirkgate, Douglas, Lanarkshire. Grave Reference: X. I. 11. 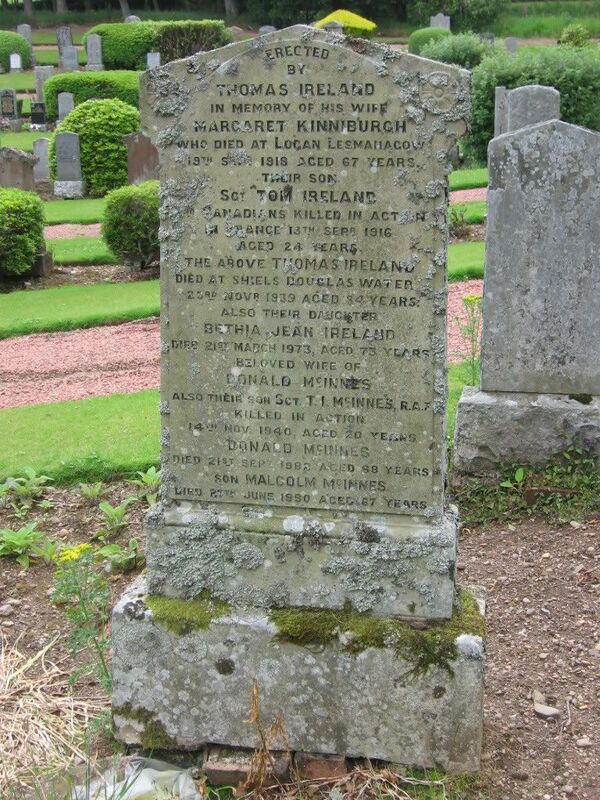 Additional Information: Place of Birth, Glenbuck, Lanark. Place of residence, Bells Wynd, Lanark.